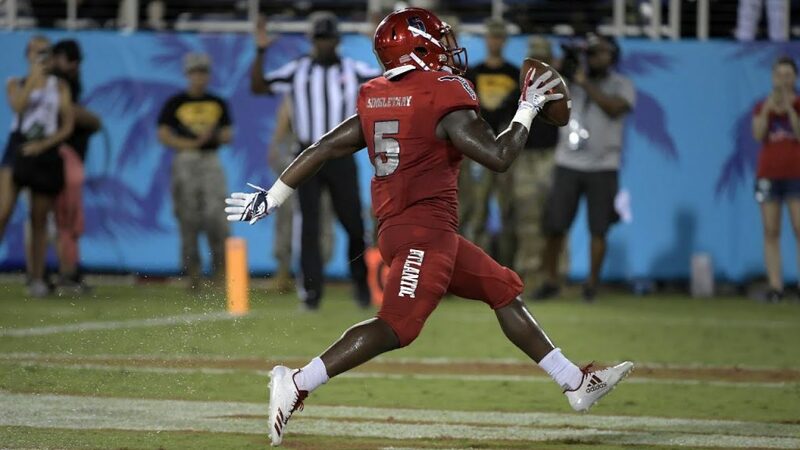 CFBDynasty ranks the best Running Backs for the 2018 College Fantasy Football season. Similar to QB last year, this season presents an obvious #1 at the RB position. These are our pre-spring rankings which are certain to change multiple times before our final college fantasy rankings before the season begins. 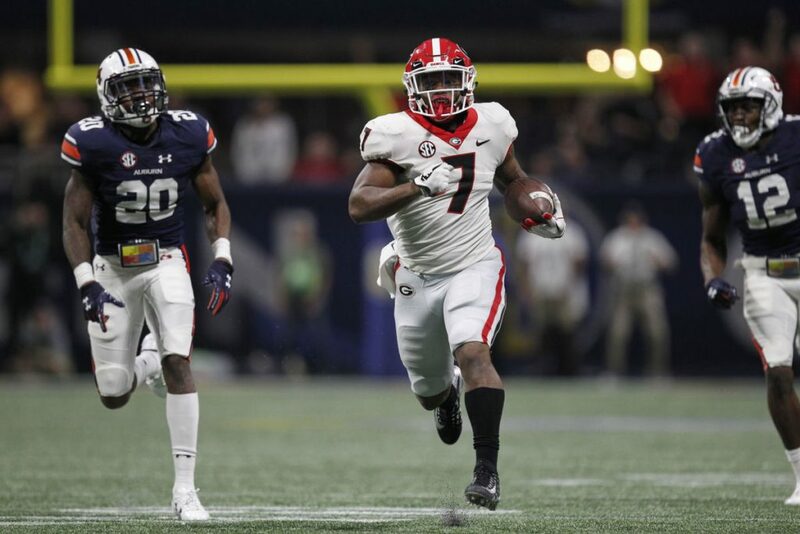 D’Andre Swift had such a great freshman season that he was earning more playing time over two running backs that will be drafted on the first two days of the NFL Draft, these were in crucial games too on Georgia’s run to the national championship. He’s a do-it-all back who will start his first season in 2018. 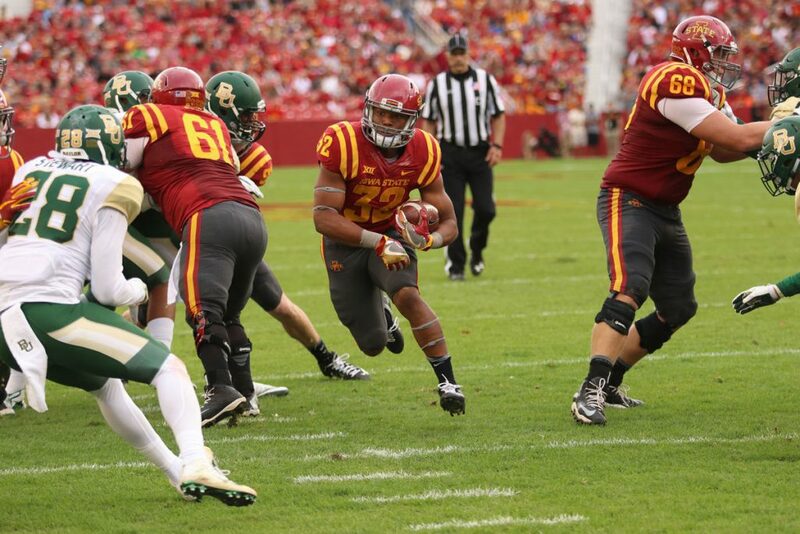 David Montgomery is very likely to be the top running back selected in the 2019 NFL Draft. He’s a beast and is one of the leading RB’s at breaking tackles. Cam Akers is a superstar. He should prove that in 2018 with a great increase in touches and production under the new coaching staff. He should be the feature of the offense on a team with questions at QB and WR. The freshman A.J. 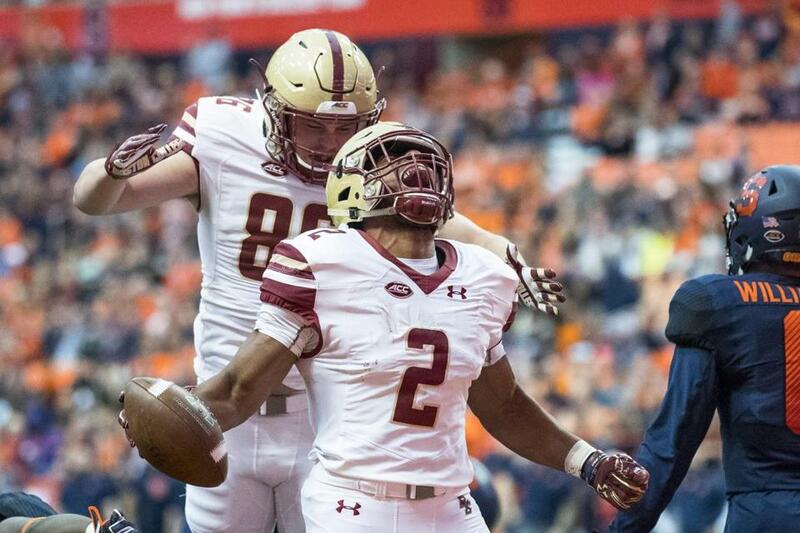 Dillion from Boston College had a monstrous season in the ACC. He’ll continue to be the feature of the offense in 2018. 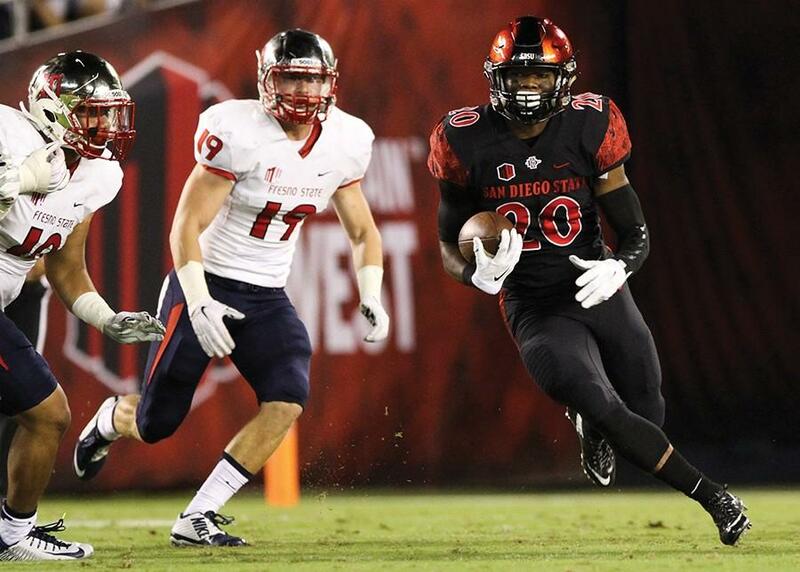 In the last 7 games of the season, Dillion carried the ball from 23 to 39 times in each. The ease of first 7 games of the 2018 season should help Dillion to start off very strong. 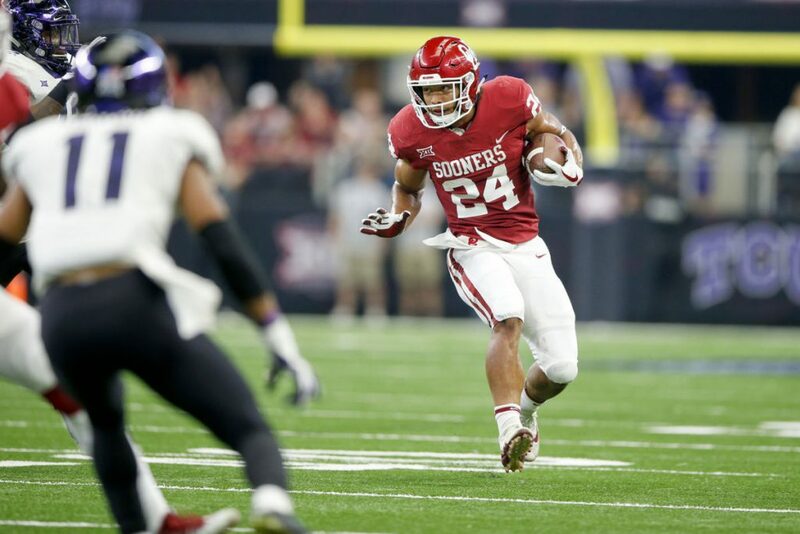 J.K. Dobbins is the full package as a running back and he’s likely to improve on his numbers during the 2018 season. His backup, which began the season as the starter and returns this season, scored 10 TD. Combine that with the exit of JT Barrett who ate into carries and rushing TDs, Dobbins could be in for a huge year. Rodney Anderson really came on strong later in the 2017 season. We anticipate he’ll continue the momentum into a great campaign for the full 2018 season as the staple of the Sooners’ offense. As a true freshman in 2017, Jonathan Taylor broke some school records on his way to more than 1900 yards while adding 13 touchdowns for the Badgers. 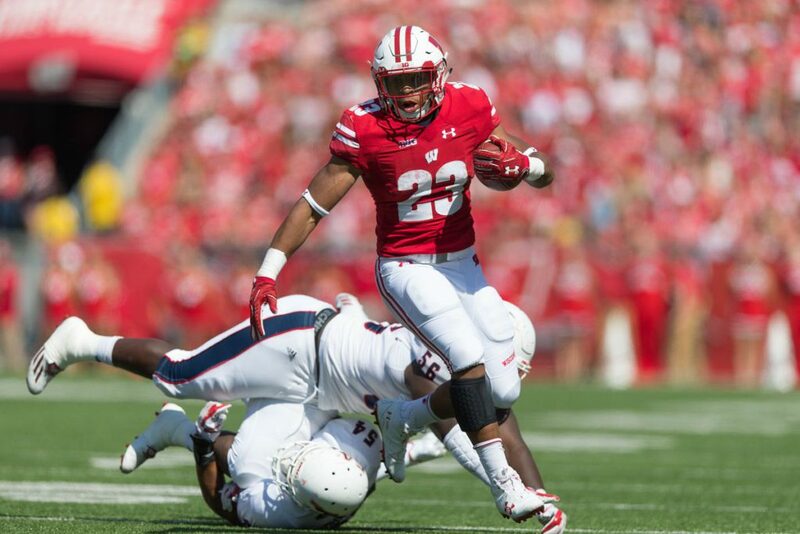 Wisconsin is known for their rushing attack and it will continue the next two seasons with Taylor. A great every-week starter in fantasy. Just take a look at Juwan Washington’s stats below as the backup. 1,800 yards and 15 touchdowns are more likely than not for Washington’s 2018 campaign as the starter. A 2,000 yard running back is #2!? Yep. 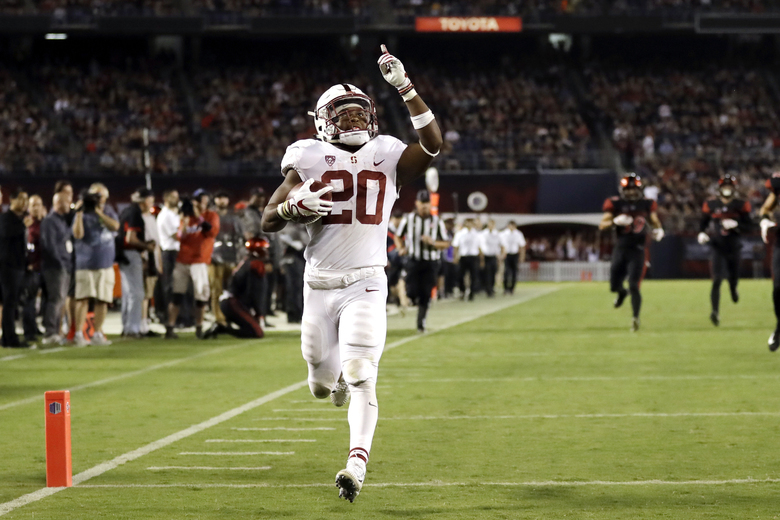 Bryce Love is a fantastic back in a great situation to continue producing at Stanford. The schedule is very tough, especially on the road. Luckily he’s got a fairly easy fantasy playoff run. Devin Singletary finished the 2017 season as the #1 fantasy running back in college football. His 32 rushing touchdowns beat out Rashad Penny by 9 and topped Saquon Barkley by 14! He will continue to be the focal point of the FAU offense which is always fun to watch with Lane Kiffin as the head man. The first pick in every draft should be Singletary.